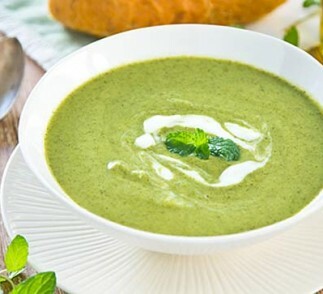 Experience green pea soup like you’ve never had it before with VOSKOS® Greek Yogurt. 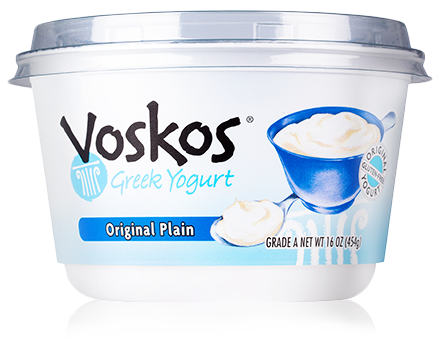 The Greek yogurt gives it a texture that’s remarkably thick and satisfying, and also makes it high in protein. Fragrant shallots and cilantro add to the flavor, making this soup the perfect creamy comfort food. Place 1 cup peas in microwave-safe bowl; set aside. Heat oil in a heavy large saucepan over medium-high heat. Add shallots and sauté until golden and almost tender, about 7 minutes. Add remaining peas, 4 cups broth, and three tablespoons cilantro; bring to boil. Reduce heat to rolling boil until flavors blend and peas are tender, about 7 minutes. Cool slightly. Working in batches, puree soup in blender until completely smooth. Return soup to same saucepan. Bring to simmer and thin with more broth, if desired. Season with pepper. Cook reserved one cup peas in microwave until warm, about 1 minute. Ladle soup into six bowls. Drizzle lightly with yogurt. Sprinkle whole peas and garnish with pea sprouts. Enjoy!!! *Pea Sprouts are available at natural foods stores and Asian markets.